Pocket, by default, shows all tags ever used when the list of tags is opened. This default behaviour is not very useful when, like for me, a majority of tags have no currently unread articles against them. AcceleReader no filters the tag list to show only the tags which have unread articles, and it displays count of unread articles against each tag. 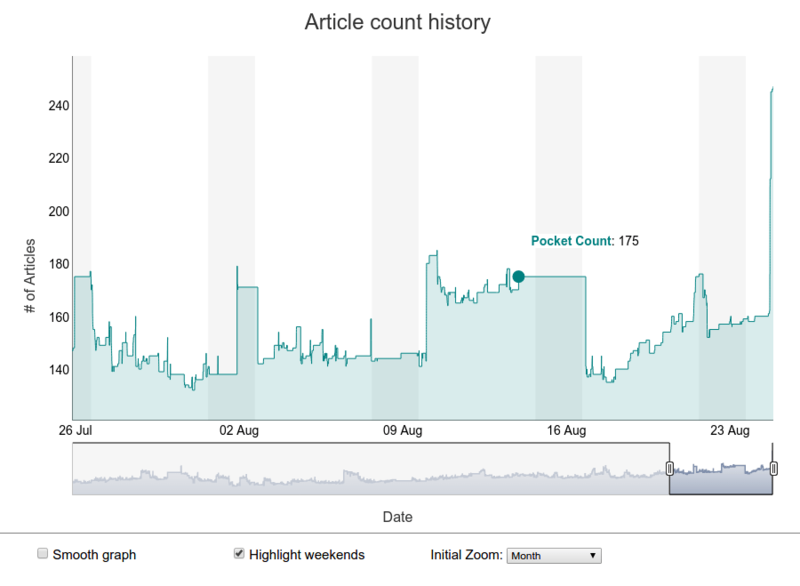 If you have been using AcceleReader for a while, you can now get a nice chart of count of articles in your Pocket account. The chart works best if you have background sync setting enabled. The chart is accessible from options page, or from right clicking the AcceleReader icon in the browser. Finally, AcceleReader now works with both – the regular Pocket channel, as well as the Pocket beta channel. 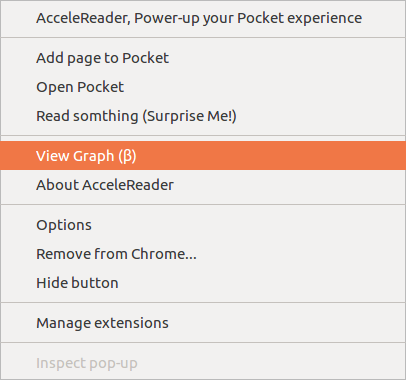 When you open Pocket, the extension automatically detects which version of Pocket you are using, and customizes all links to work with that version – beta or regular.